You can pay your Kohl's credit card statement with a Kohl's Scrip Card? That's right! Take advantage of Kohl's discount (when using your Kohl's credit card) and pay your bill using a Scrip card purchased at St. Paul Lutheran Church! Scrip fundraising is a no-selling program that enables families to raise money for St. Paul Lutheran Church. 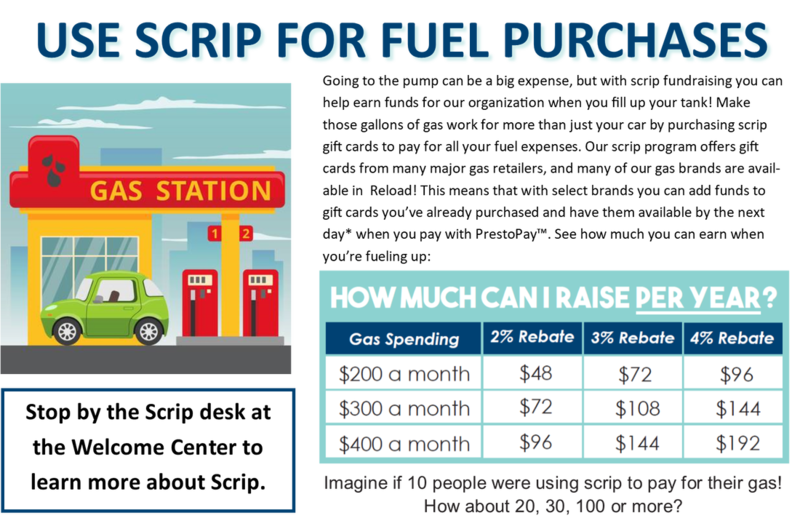 Scrip is just another way to pay for everyday purchases using gift cards in place of cash, checks, and credit cards. You purchase gift cards from SPLC at face value, and your coordinator orders those cards from Great Lakes Scrip Center at a reduced price. The difference is an instant rebate for SPLC. It’s really that simple! Great Lakes Scrip Center offers more than 700 of the country’s biggest retailers, including grocery, department stores, gas stations, restaurants, hotels, home improvement, and more. It’s time to put your shopping dollars to work! ​Buy physical gift cards, eGift cards, and reloadable gift cards at face value on ShopWithScrip.com, the mobile website, MyScripWallet.com or at church. ​​Use your gift cards for your everyday shopping.